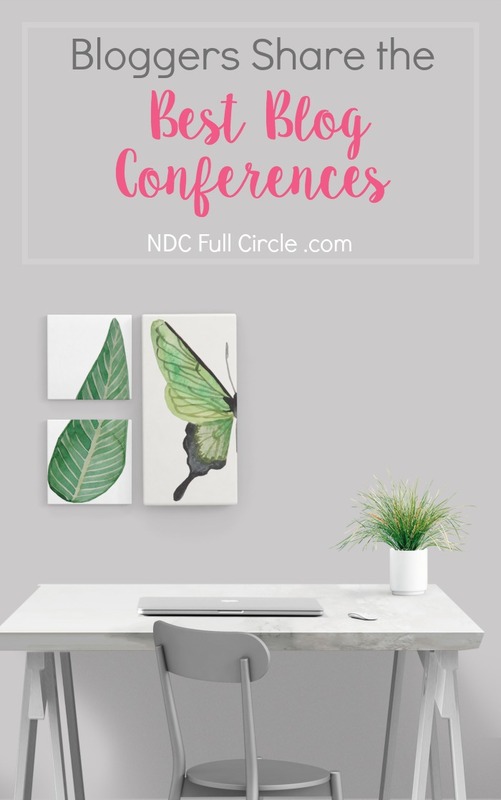 Here is a list of the best blog conferences by bloggers in the parenting, food, lifestyle, crafts, DIY, décor, and travel niches. These are their words and honest feedback about each. 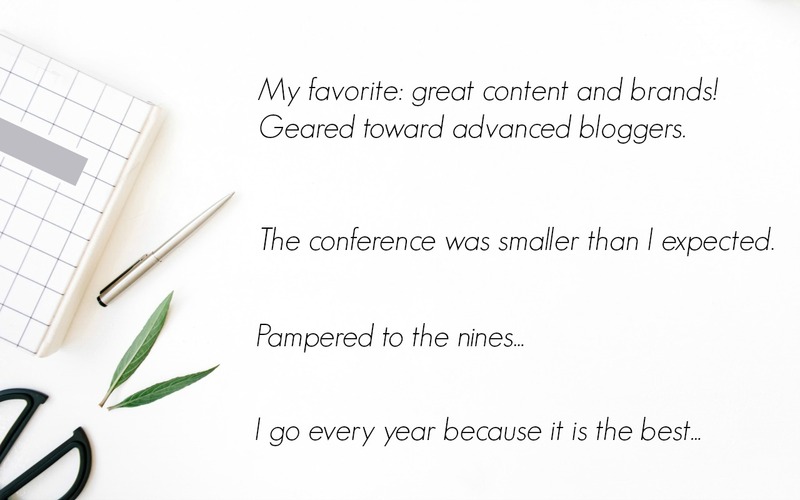 So you’ve decided to attend a blog conference – congratulations! Most will help you grow your skills and tribe. If you need help, my blog conference prep is well-rated and fills up. Book it here for your conference. 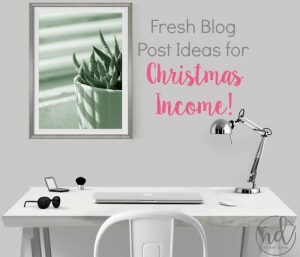 There are a lot of blog conferences available to US and Canadian bloggers – this list has more than 40! 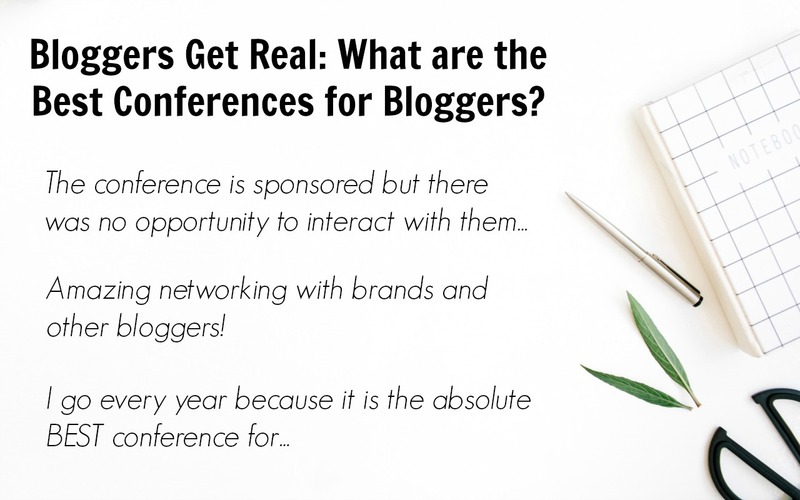 I wrote this article to help you create a short-list of those that are well-reviewed and classified as “the best blog conferences” by your fellow bloggers. 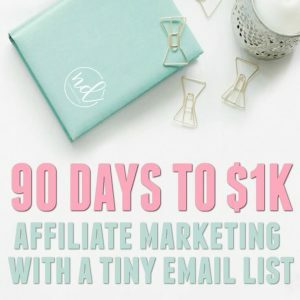 There are so many “best blog conference” articles that are peppered with affiliate links. 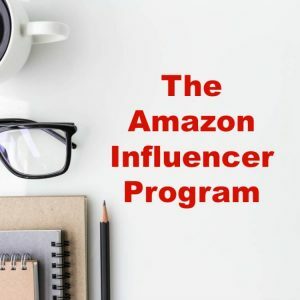 My purpose with this article is to provide a list without them that contained recommendations from bloggers just like you. 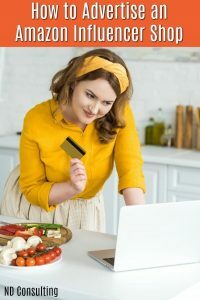 There are NO affiliates in this article to avoid any preference. 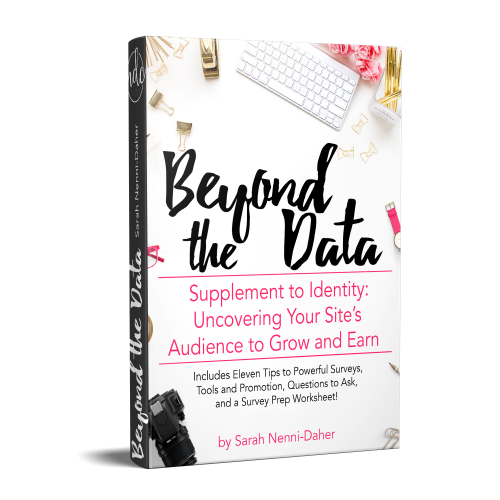 Build Your Blog – BYBC touts themselves as the best conference for bloggers to learn and many bloggers believe this to one of the best blog conferences to elevate skills. Hands-down, this was the most popular, consistently well-rated blogging conference. 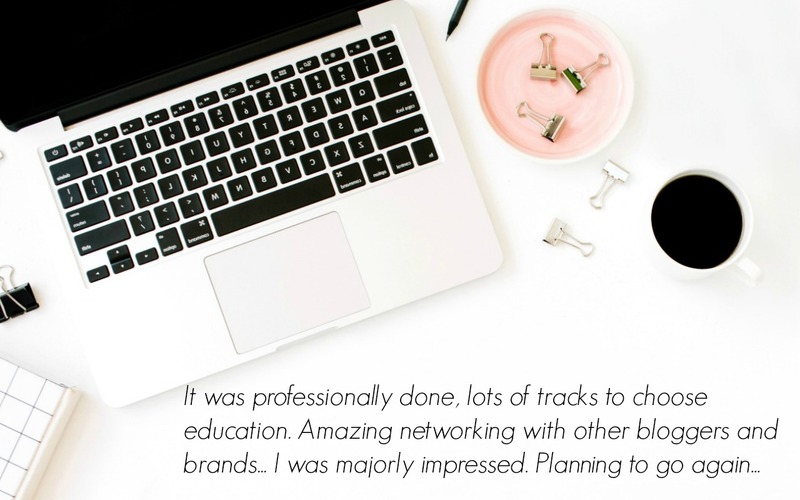 BlogHer – Well-rated by respondents, BlogHer has been going strong for 11 years and focuses on training and connection with brands. 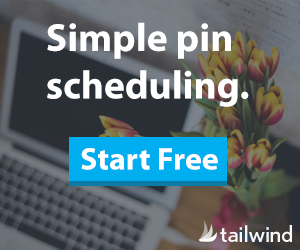 If you’re relatively new to blogging for business, consider a BlogHer event. 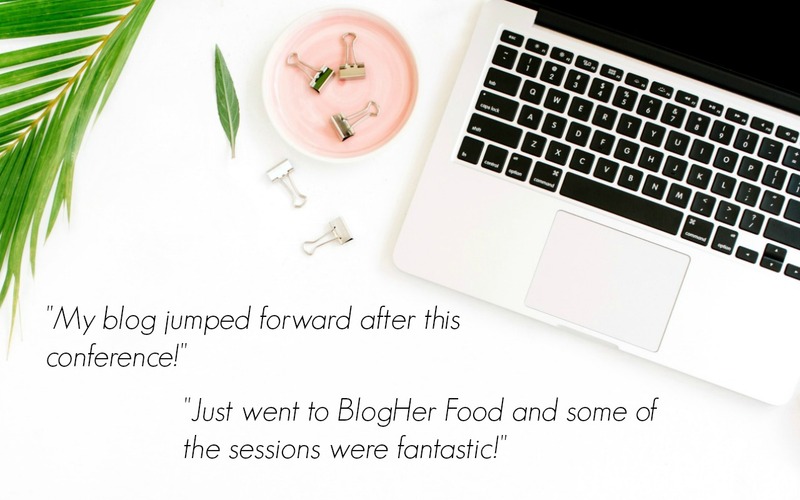 Focused Blogging Conference – This is a hands-on conference designed to take bloggers to the ‘next level.’ What’s different about it as that you work alongside and learn from qualified mentor bloggers. This is a limited availability conference with 100 seats, but session recordings are available. Full disclosure – this is the conference I recommend for advanced bloggers, as well. If you cannot attend a conference, the audio version can be purchased at a significant discount. “I have been to Blissdom, Bloggy Bootcamp, BlogHer, can’t think of what else right now – a lot of years blogging. The best conference I have ever been to, hands down, and I would sell my right kidney if necessary to get there, year after year, is Focused. …it is intimate, great sponsors, amazing sessions, PLENTY of networking built right in. Good (not weird or fancy) food and very affordable. The hotel isn’t fancy and that is perfect for me! I don’t want to spend 300 bucks a night just to spend 3 hours in my room. Type-A – This is a well-rated, large conference for parents who blog and are interested in connecting with brands. 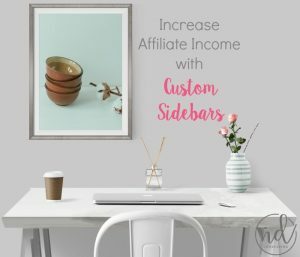 They are known for providing training how to turn blogs into businesses and offer multiple locations and virtual conferences. Mom 2.0 Summit – Even though they are called, “Mom 2.0,” this very large conference invites nearly every blogging niche to join them. Since 2008, they’ve been working to give creatives a voice and foster communication with media and brands. Haven – Haven has been going strong since 2012 and is a conference for the DIY and decorating bloggers. It’s a large conference that aims to provide education in most areas of blogging. 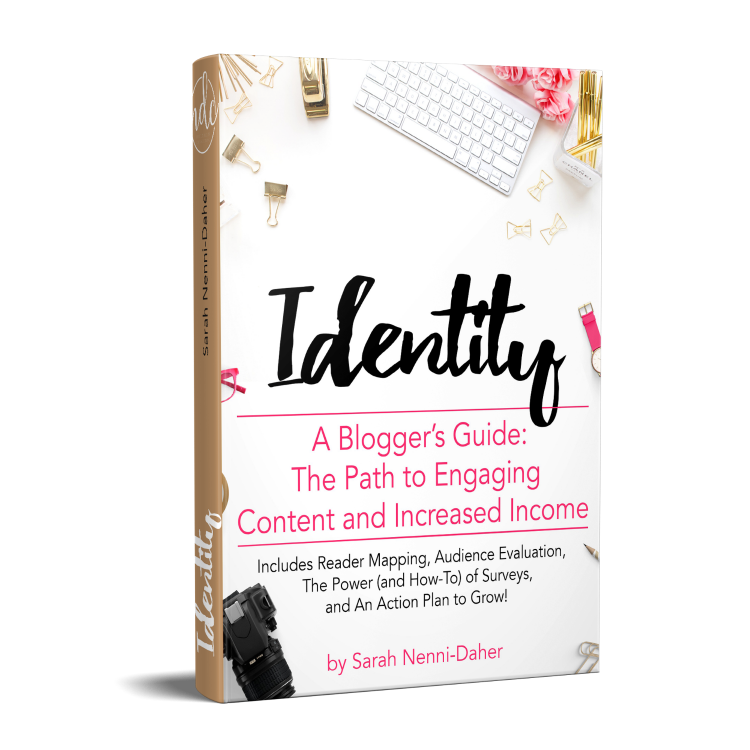 Haven is well-loved by new and seasoned bloggers. SNAP! – Per their site, SNAP! is “a conference for creative entrepreneurs and lifestyle influencers.” Although it sometimes has similar sponsors to Haven, SNAP! focuses more on crafts than on DIY projects for the home. Many bloggers in the creative niches love this conference. TBEX (Travel Blogger Exchange) – TBEX was the only conference repeatedly mentioned by bloggers in the travel niche. It has become a standard in the space. BlogU – This conference identifies as an affordable alternative, taking place on a college campus. Some loved it and some would never attend again – there’s just a divide straight down the middle. I didn’t feel it was safe to recommend as ‘best’ because of the divisiveness. SoFab OTR (on the road) – An extension of SoFabU (from Social Fabric), the focus is on educating influencers who are part of their program. Mom Meet WOW Summit – A meet directed towards health-conscious moms, brands, and influencers. Go Blog Social – This is a conference for creative individuals seeking to grow blogs or social outreach. Bloggy Conference – Catered to those interested in social networking and is often cited as one of the best blog conferences. 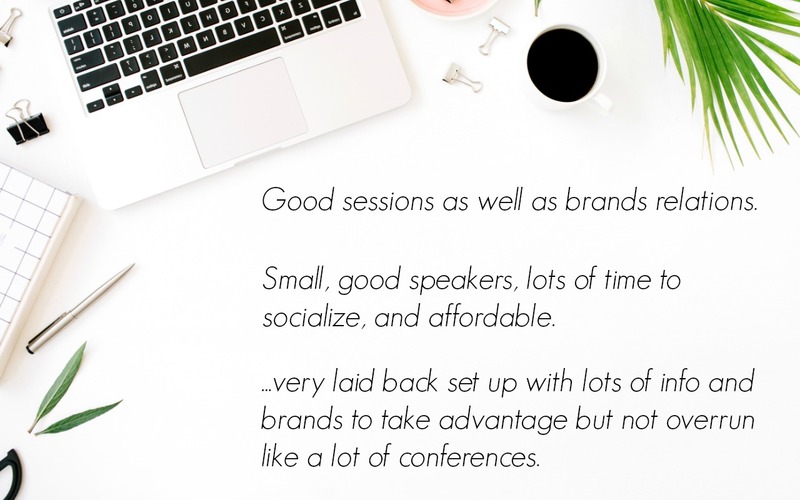 This list of the best blog conferences by niche was provided to offer real feedback to those of you deciding which blog conference to attend. Are you going to a conference this year? Which one? You always provide the best information. I have never attended a conference but i would love to. Maybe next year. I dream of attending a blog conference one day. Unfortunately there aren’t many on this side of the pond. Thank you lots for this resource, Sarah. Very helpful!